To come back home from work tired, throw down your bags, take off your shoes and lay down onto the couch after a long day is a pure heaven. 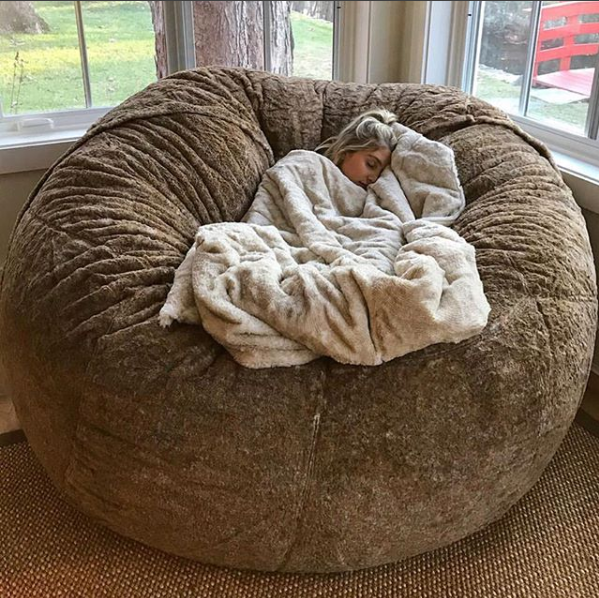 Now imagine that the couch was actually a huge queen-bed size fluffy soft beanbag. Would you ever get up? LoveSac is a furniture company focusing in “high-quality sacs, sectionals, and beanbags”. They are making people's dreams come true since 1995. The BigOne is in our opinion their best bean bag chair. It's 8 feet long and 4 feet wide, made of shredded Durafoam. Unlike the plastic beans, Durafoam doesn't compress over time and it always stays soft. 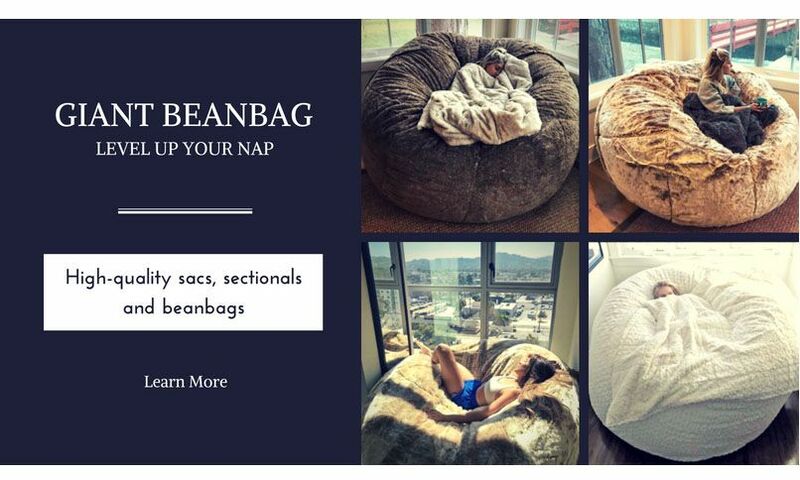 The beanbag comes with a faux cover that is super cozy and you can wash any time. The BigOne isn't really cheap. They sell it for $1300. But you can never spend too much for a good sleep and the most comfortable place where you can watch a movie from. Level up your nap with LoveSac.